Q. When I read your book, I am Jane Goodall, I felt welcomed into her world and inspired to be myself. Since then, I have explored several other of your books, and they have a similar feel to them. Tell me how you came to write these “hero” books. What inspires you? This series was born because I was tired of my kids thinking that reality TV stars and loud-mouthed sports players were heroes. I tell my kids all the time: That’s fame. Fame is different than being a hero. I wanted my kids to see real heroes…and real people no different than themselves. For that reason, each book tells the story of the hero when THEY were a kid. We see them as children. So it’s not just Amelia Earhart and Abraham Lincoln being famous — it’s them being just like us. So, really, the whole series exists because I became a parent. That’s what inspires more than anything: being a dad. Q. You have sold more than one million children’s history books—the first ever to do so. 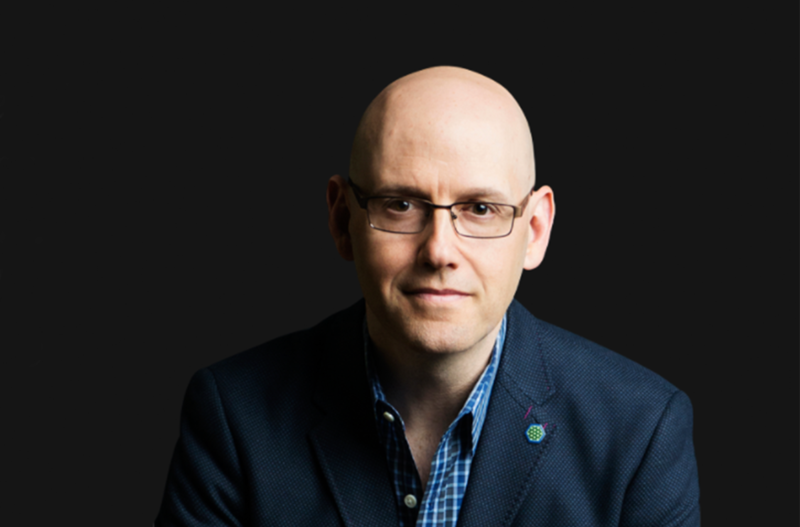 How do you feel knowing you have reached into the hearts of at least a million children and inspired them to be their own hero? When we (my publisher and I) started this series, I cared about three kids and three only: my three. But there’s nothing like getting letter after letter of people saying, “Brad, thanks to your books, this Halloween, my daughter went as Amelia Earhart instead of a princess.” In my wildest dreams, I never anticipated that. C’mon, how can you possibly think you’ll influence someone’s Halloween costume? Q. Where do you find the childhood stories of your heroes? Can you share about one that was particularly difficult to find or difficult to transform into a story suitable for young kids? The further we get from the time period when someone lived, the more we stop focusing on their childhoods. And that’s wrong. Think of your own life: Show me your childhood and I’ll show you who you are. The hardest was Lincoln, since it was one of the first. But I sought out one of the top Lincoln experts in the country and he said: I have a story for you. For I am Amelia Earhart, one of my favorites was simply learning that when she was seven years old, she built a homemade rollercoaster in her backyard. My daughter loved that. And right there, Amelia Earhart was alive again. Q. How do you decide which heroes to research and develop into a book? I did I am Lucille Ball because I wanted my daughter to have a female entertainment hero who isn’t just famous for being thin and pretty. Lucy doesn’t just stand for the idea that it’s okay to be different; she stands for the idea that it’s FANTASTIC to be different. For I am George Washington, it was a response to my kids turning on the TV and seeing politicians today. But they weren’t seeing leaders. I needed to change that. So I always start by looking at the lessons I want for my own kids. Q. You say “I believe ordinary people change the world.” Can you expand upon that? It’s my core belief. It’s in every story I just told you. I believe ordinary people change the world. I don’t care where you went to school…or how much money you make. I believe in regular people and their ability to effect change in this world. I believe in my mother and my English teacher, and all the people who have helped me along my path. And it’s why I believe in the character Superman. For me, the most important part of the story isn’t Superman. The most important part of the story is Clark Kent. Why? Because we’re all Clark Kent. We all know what it’s like to boring and ordinary and wish we could do something that’s incredibly beyond ourselves. But here’s the real news: We all can do something incredibly beyond ourselves. And these books are my path for that. Q. Who, besides your mom, was your hero at age 4-6? What did you learn from them? My grandfather, who used to make up stories for me. He used to tell me the same Batman story over and over. He taught me the power of kindness — and the power of a well told story. Those lessons were never forgotten. Q. Do you have any input on the illustrations? I knew Chris’s work from comics, but the reason I was so insistent about working with him was he can do that Calvin & Hobbes/Peanuts thing where the characters aren’t just funny — they’re lovable. You dream with them, fail with them, and smile with them. It’s so much harder than you think. Chris’s superpower is just that: he can show you heart. Q. What other heroes are due to come out? Next is I am Jim Henson, which is the nerdiest best book we’ve ever done. Muppets, Sesame Street, Kermit, Ernie, Grover, everyone. It’s my heart in book form. Q. Where can readers learn more about you? 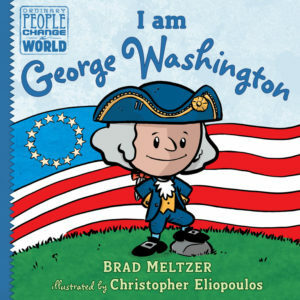 Come to BradMeltzer.com and join our Invisible Army. 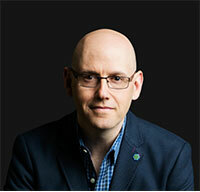 BRAD MELTZER is the #1 New York Times bestselling author of The Inner Circle, The Book of Fate, and nine other bestselling thrillers, including The Tenth Justice, The First Counsel, The Millionaires, The Book of Fate, and The President’s Shadow. His newest book is The House of Secrets. 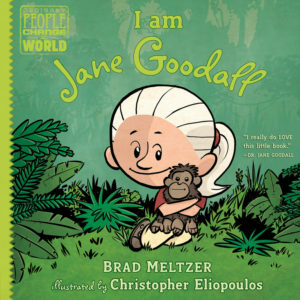 His illustrated children’s books I Am Amelia Earhart, I Am Abraham Lincoln, I am George Washington, and I am Jane Goodall were written for his own children, to give them better heroes to look up to. Try them. You won’t believe how inspired you and your family will be. His other non-fiction books, Heroes for My Son and Heroes for My Daughter, are collections of heroes – from Jim Henson to Sally Ride — that he’s been working on since the day his kids were born and is on sale now, as well as History Decoded: The 10 Greatest Conspiracies of All Time. He’s also one of the co-creators of the TV show, Jack & Bobby. Brad currently lives in Florida with his wife, who’s also an attorney.